Steel and brass manifolds. 15 years warranty! FERRO ONE - Bathroom and kitchen mixers. Standing sink mixer with flexible pull-out spray. Rainfall with regular shower and thermostatic mixer. Steel AISI 304 and brass CW617N. 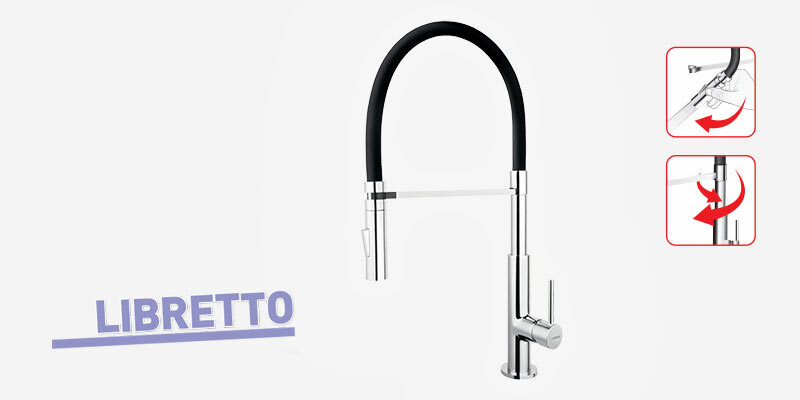 Flexible spout for sink mixers. Standing sink mixer with fl exible spout. Standing sink mixers to the granite sinks.